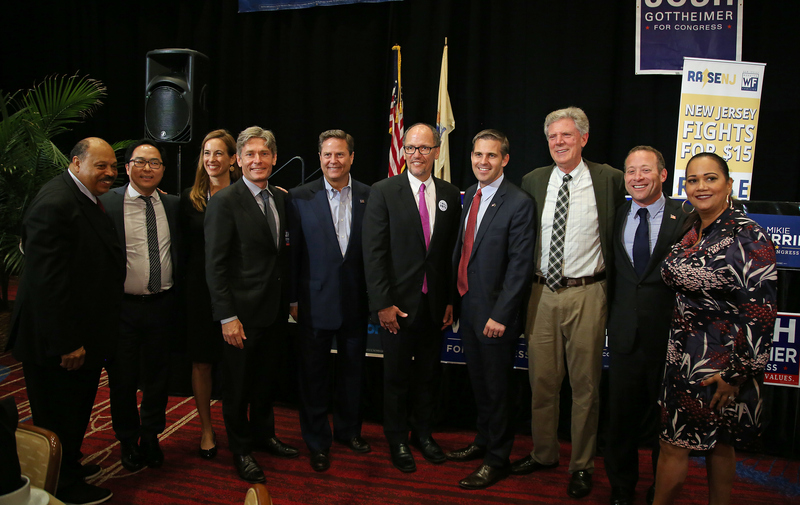 Under Chairman Currie’s leadership, the New Jersey Democratic State Committee is stronger, more diverse and more effective than at any time in its history. ➞ By working alongside Democratic leaders and grassroots advocates, Chairman Currie worked tirelessly to bring a Blue Wave to New Jersey in 2018 and helped elect the most Democratic Congressional Delegation in decades. Our state is now represented by 11 Democrats in the House of Representatives out of 12 districts. ➞ Democratic campaigns up and down the ballot to ensure the best leaders are elected to office. ➞ In one year alone, the NJDSC has added thousands of new emails and contacts to its database in efforts to stay connected with New Jersey residents and recruit volunteers across the state. ➞ This year’s NJDSC Conference was attended by more than 2,000 people, the highest known record. This conference played a key role in rallying support for U.S. Senator Bob Menendez among other candidates. ➞ Chairman Currie has played a key organizing role in electing Senator Cory Booker in 2014, Governor Phil Murphy in 2017, Senator Bob Menendez in 2018 and expanding legislative majorities in both the State Senate and Assembly.